When you have some experience working on your car you may be ready to start modifying and tweaking your ride. Once you are ready to move to the big stuff you will need to learn how to use the big machines. In this class, we will cover the professional tools that require training. Used incorrectly many of these tools can cause injury or death. 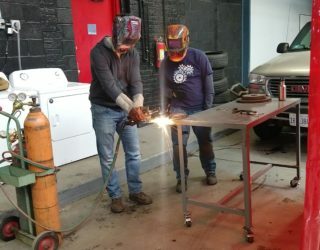 We will learn and practice using the diagnostic computer, the spring/strut compressor, the cutting torch, and the tire machine. After taking this class you will be ready to tackle advanced maintenance and mechanical projects. $35 Thursday 2/21 6:30-8:30 p.m.